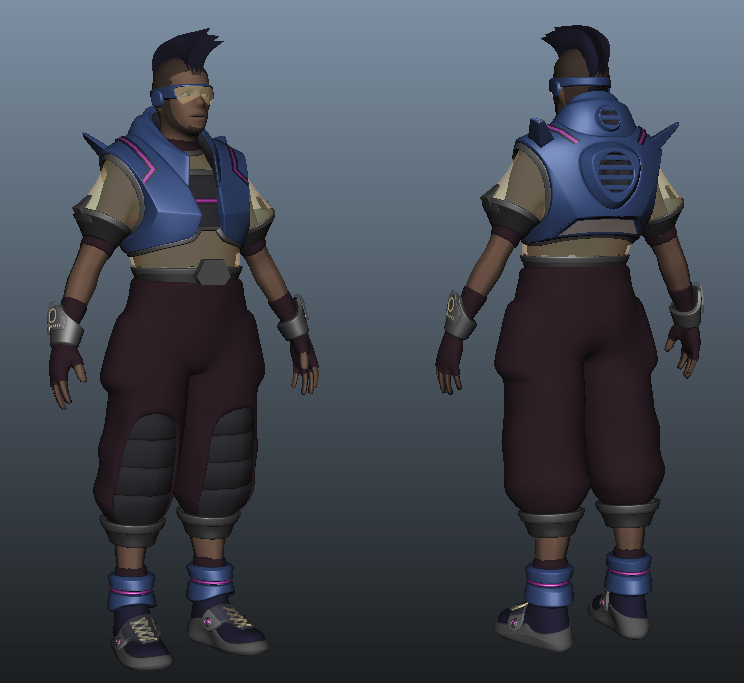 Got busy with some life stuff such as job searching and art tests, but back to working on this for the brawl comp. I think I’ll move onto sculpting his head/body and clothes to try to push myself forward. Don’t want to get bogged down on the hard surface stuff right now. Here’s this week’s workshop assignment. I was actually supposed to have the thumbnails and rough done for last week’s class, but due to a crap week it didn’t get done. That means I had to get that stuff+the final coloring done for this week, and I had an art test to finish at the beginning of the week. So, it’s been a rush to get it done. The theme was to re-design a wizard of oz character. I chose Glinda, as I thought this would be a good challenge for me. 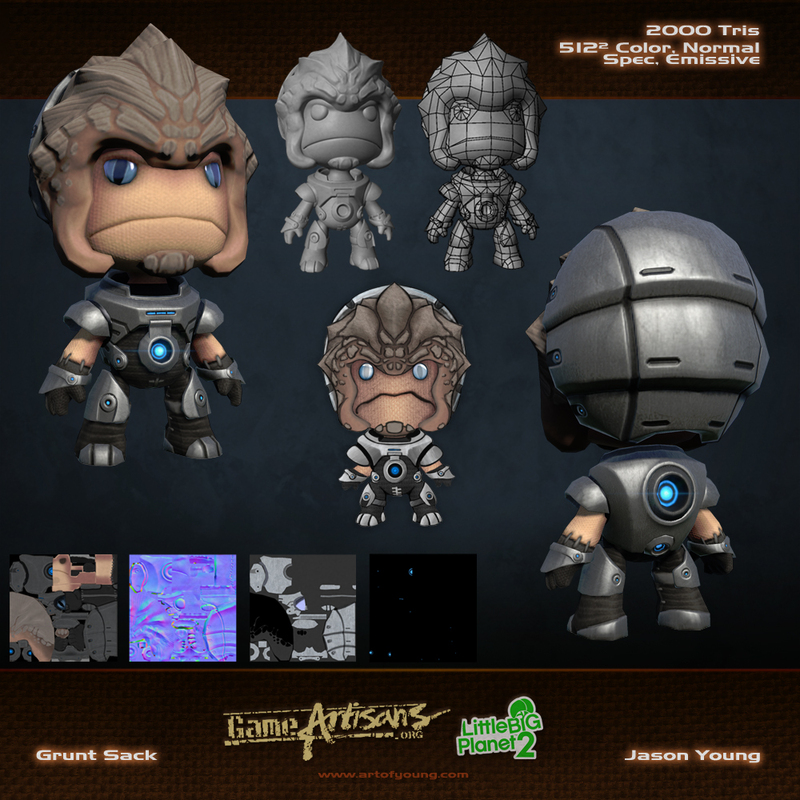 Here are my final submissions for the gameartisans.org sackboy mini-competition. They’re not due ’til monday at midnight, but I’m calling them done. I’ll wait to submit to give myself some fresh eyes tomorrow just to make sure nothing needs fixing. For anyone that doesn’t know what this comp. was about, the idea was to make a custom sackboy dressed up as some other character. Sackboys are the main characters in one of my favorites, little big planet, and a large part of the game’s appeal is customizing your character with costumes. 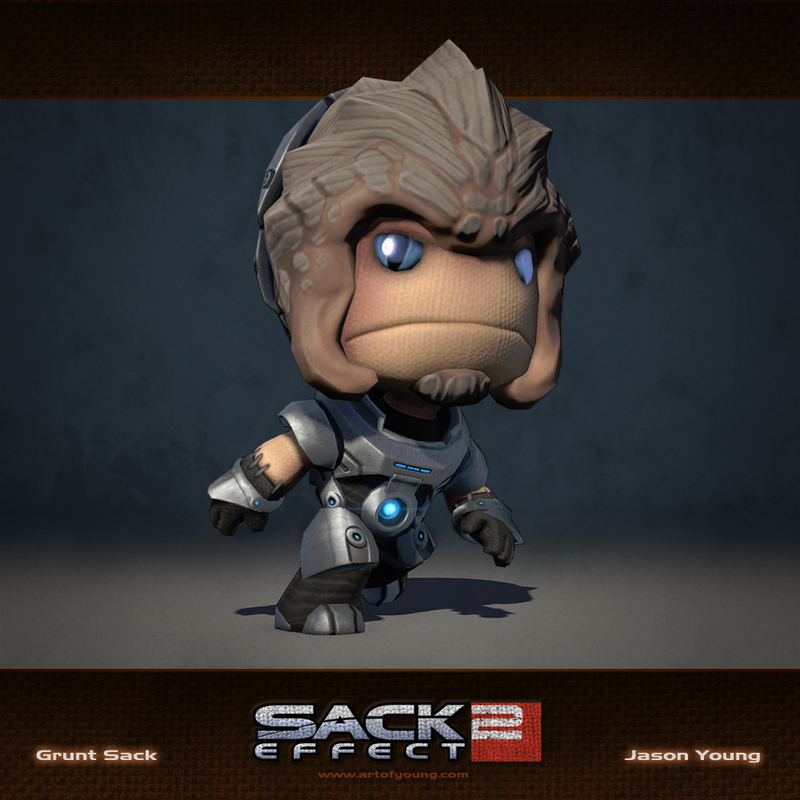 I chose to dress the sackboy as Grunt, which is a character from another one of my favorite games, Mass Effect 2. My layouts are styled after the official mass effect 2 wallpapers that were released to promote the game. I felt like this was fitting and worked well with the fabric material overlays. We had a good team meeting today for unearthly challenge. An idea was ironed out, and we’re going to concept some stuff for thursday night before having another meeting and coming up with a plan. At that point we’ll have a little over 5 weeks(plus the inevitable extension) to finish everything, so we’ll see what happens. I’m pretty excited about doing environment work for a change, and I’ll definitely be posting WIPs here for the heck of it. With that in mind, this was a WIP(work in progress) from my comicon challenge entry that I didn’t finish. 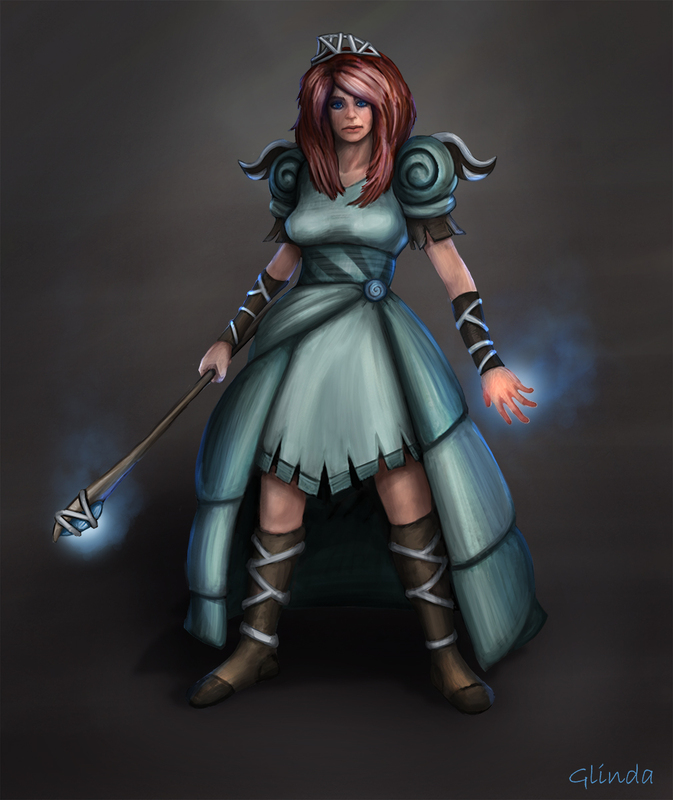 I didn’t end up pushing the character enough to one side, and I’m not entirely happy with it. I probably should have gone either more realistic and re-designed his clothes to be less costume-ish, or gone full on stylized and tried to match the comic version a little better. I do feel like I improved my digital sculpting abilities a decent bit with this project, and so I consider it a successful one even if it wasn’t finished and up to my standards. I’m considering finishing him, but I may just move on to the next character… I’ve got some ideas I want to explore. This is a viewport grab from max, btw. 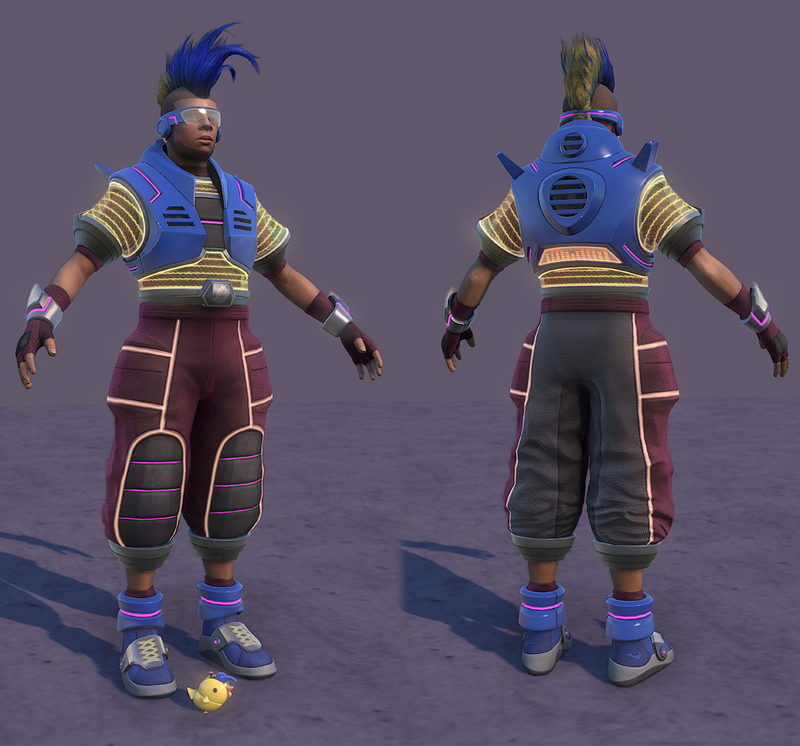 The hair is a mess, and I probably can’t fix that without taking him into an engine to fix the alpha sorting. 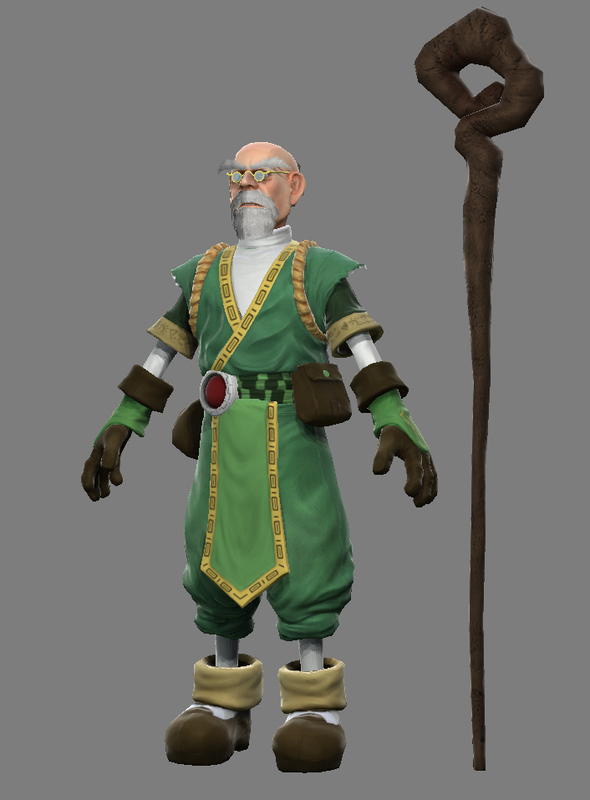 The staff texture needs a ton of work. There are two games coming out this week that I’m really looking forward to. Brutal Legend and Uncharted 2. Both look to have a campaign/story that is epic in completely different ways. I’ll be curious to see how the multiplayer modes for each of them works, as neither one is a typical shooter. Recently I played Shadow Complex on XBLA and Fallout 3 some more. Fallout is probably in my top 5 games of all time, but I’m not sure I’ll play all the way through again. That game with a focused narrative like Mass Effect would be insanely awesome. Mass Effect with Fallout’s scope would be insanely awesome as well. Both games are still extremely good. Shadow Complex made me like 2d platformers again, even if it is all rendered in 3d. The level design is spot on, and makes exploring more fun than many 3d games. Some co-workers and I are working on Unearthly Challenge this year, which should prove to be a great learning experience. I don’t consider myself much of an environment artist, but I know I can handle individual assets/props without a problem. It’ll be a challenge to put all the elements together into something cohesive, but having other team members will be a huge help in that regard. We’ve already got 3 great ideas that are well thought out, and after this week we’ll have everything nailed down conceptually and tasks assigned. We’re using dropbox to manage all of our files across multiple computers, and I’m curious to see how well that works out. I’ll be posting updates here as a WIP, which is something I’ve been meaning to do for awhile. I don’t like having WIPs on my portfolio site, but I do want a place to put them for people to see. A blog seems somewhat logical for that, and I think it’ll be fine unless I post a whole lot of text posts. Had my first week at the new job and so far, it’s been a really great experience. Not a whole lot to talk about or that I can say, but I’m working on Our House: Party for the Wii. My move was pretty interesting. We basically had 3 weeks to find a place and get everything setup once I got the job offer. On the drive up, we hit the worst snow storm in AZ in 15 years, just missed a nasty windstorm in Albuquerque, and drove through tornado inducing thunderstorms in OK. Pretty much the worst weather I could imagine, and then when we moved in, our pipes burst due to the heat and water being shut off prior to move in. Most of the issues have been resolved, and we’re settling in. You are currently browsing the archives for the	Personal	category. Jason Young-Game Artist is powered by	WordPress 4.5.17 and delivered to you in 0.397 seconds using 20 queries.